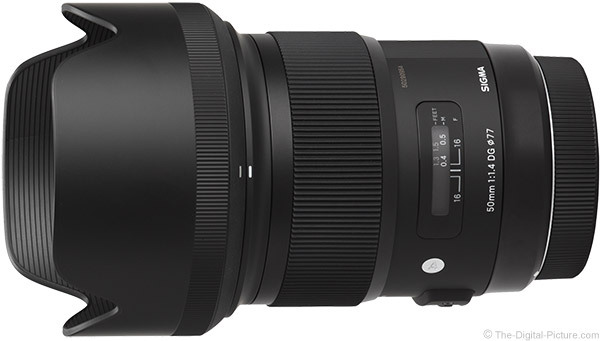 There have not been many Sigma lens announcements that generated the anticipation that the Sigma 50mm f/1.4 DG HSM Art Lens announcement generated. The 50 Art Lens was announced not long after the Zeiss Otus 55mm f/1.4 Distagon T* ZE Lens arrived, delivering a not-before-seen high level of 50-something mm f/1.4 image quality. The new Sigma was also promising something special and many of us were anxiously awaiting two data points. The first was the price and the second was the image quality level this lens could deliver. Few of us expected the new Sigma lens to carry a price tag close to the Zeiss Otus entry, but the price was initially said to be very high relative to 50mm prime lenses. Multiple usually-reliable sources claimed the price would be over $2,000 USD. That high-price rumor raised the level of expectation of the other big question, the image quality. When the actual price announcement came, most of us were delighted to see a nicely-sub $1,000 USD initial list price quoted. We of course retained the hope of image quality excellence. And with the first question answered and the lens in hand, the second question is now easy to discern. A 50mm focal length is a 50mm focal length regardless of the lens model being used and the focal length must be right for your application for this lens to be a good choice for you, regardless of how impressive this lens is. Fifty mm is a very natural focal length as it approximates how we perceive a scene with our own eyes (at least in field of view and perspective terms). The 50mm focal length is known as a “normal” focal length and for good reason as the pictures created using it look very normal/natural to the photographer and viewer. The popularity of 50mm lenses has been long-lasting (my first SLR came with one) and the volume of 50mm lens models available to choose from reflects photographers' interest in this focal length and those not-relevantly-different close-to-50mm variants. Based on this demand alone, the 50mm focal length is obviously a useful one. Fifty mm lenses frequently find themselves being used in fashion, portraiture, weddings, documentary, lifestyle, sports, architecture, landscape and general studio photography applications. A number of the good applications for this lens include people as subjects. A 50mm lens used on a full frame body is modestly too wide angle for tightly framed head shot portraits (for my taste), but 50mm is very nice for less-tightly-framed head and shoulders, partial body and full body portraits. Mounted on an APS-C/1.6x FOVCF body, a 50mm lens delivers an angle of view equivalent to an 80mm lens on a full frame body. This tighter angle of view is useful for the same purposes just mentioned and tighter portraits retain a better perspective. The full frame 50mm angle of view is demonstrated in the aperture walk-through below. As a Global Vision lens, the Sigma 50mm f/1.4 DG HSM Art Lens receives a designation of "A" for Art (vs. "C" for Contemporary or "S" for Sports). As I've said before, I love what Sigma is delivering with their GV lenses right now, but I'm still not a fan of limiting the usefulness of a lens to one of these categories. Least understandable is what the "Contemporary" designation means. Are the "A" and "S" lenses not at least as contemporary? Can sports lenses not be used for wildlife? This "A" lens works nicely for sports. As with some of the other "A" lenses, I'm sure that the wide "A"perture has some responsibility for the "Art" classification. 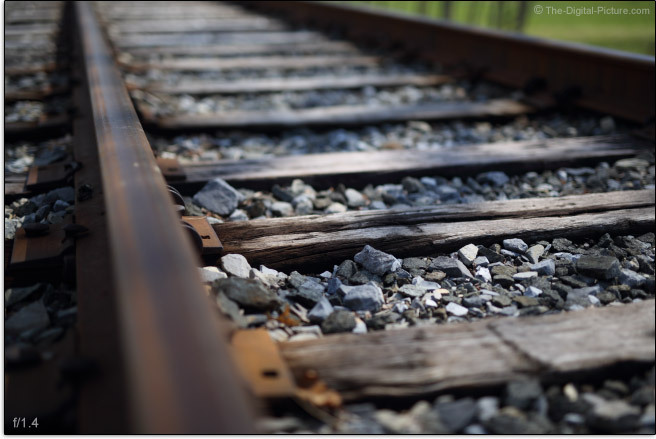 Wide apertures mean shallow depth of field. As illustrated in the aperture walkthrough above, an f/1.4 aperture has the ability to remove all background distractions by turning them into a strong blur. Shallow depth of field can make a subject pop from a blurred background. Only Canon DSLR camera owners can find a wider aperture autofocus lens available, including the EF 50mm f/1.2 USM lens, and a discontinued 50mm f/1.0 AF lens remains in circulation. The current Nikon lens mount is too small to support autofocus on lenses with a max aperture wider than f/1.4, but the fully manual NIKKOR 50mm f/1.2 AIS Manual Focus Lens is available and an out of production 55mm f/1.2 lens exists. Otherwise, the Sigma 50mm Art lens, at f/1.4, is the widest 50-something mm lens available in Canon or Nikon mounts, though many other lenses share this spec. Blurring the background is of course easiest at longer focal lengths and 50mm is typically considered a normal focal length. Back up and the normal focal length retains a rather large depth of field even at f/1.4 as shown below. 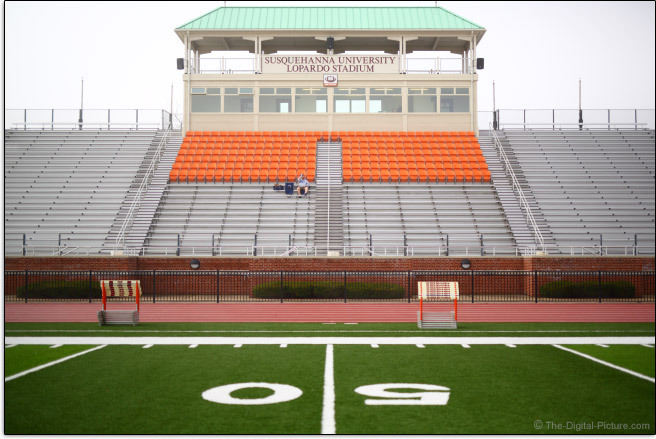 Focused on the seating area, the "50" on the field remains largely in focus – especially at this resolution. Sorry, I couldn't resist a 50mm 50 yard line shot. Looks like someone had their choice of seats. In addition to blurring the foreground and/or background, the wide aperture allows fast, action-stopping, camera-shake eliminating shutter speeds even in low light. If the narrow depth of field works for your subject, this lens can easily be shot handheld indoors even at night. There are many great zoom lenses that include the 50mm focal length and optically perform very well at f/2.8 or f/4, so one of the reasons to use a prime lens is for the apertures wider than these. An f/2.8 aperture requires 4x as much light to get the same shutter speed as an f/1.4 aperture provides. Promises of excellent image quality long preceded the 50 Art's price and availability announcement and anticipation for this lens ran very high. With the lens in hand, we were finally able to see how accurate those promises were. At f/1.4, the 50 Art is quite sharp in the center of the frame with slowly increasing softness toward the periphery of the image circle. Still, full frame corners are nicely sharp even at this wide open aperture. Slight improvement is seen at the center of the frame at f/2 and the corners sharpen very nicely at this aperture. Slight additional corner sharpening is seen at f/2.8 where this lens delivers overall extreme sharpness. There are many wide aperture 50mm prime lenses, but none except the Zeiss Otus 55mm f/1.4 and Zeiss f/2 Makro lenses are really sharp until stopped down to at least f/2.8. Only the Zeiss Otus is sharper at f/1.4, but it is only very slightly sharper in the center of the frame and moderately sharper in the outer portion of the image circle. 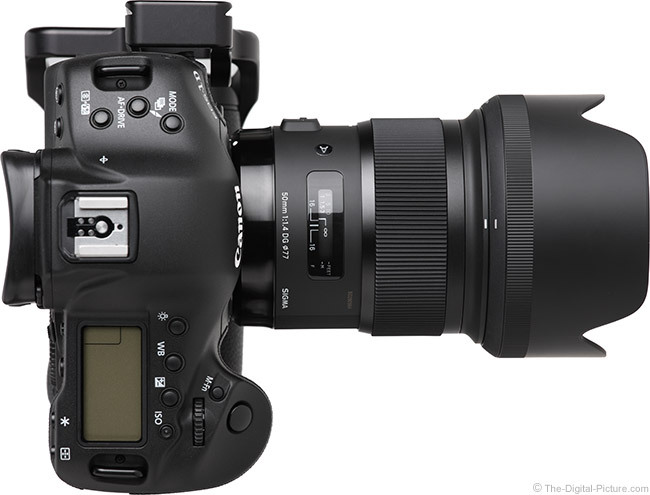 The Sigma is sharper than the Zeiss 50 mm f/2 Makro at f/2. 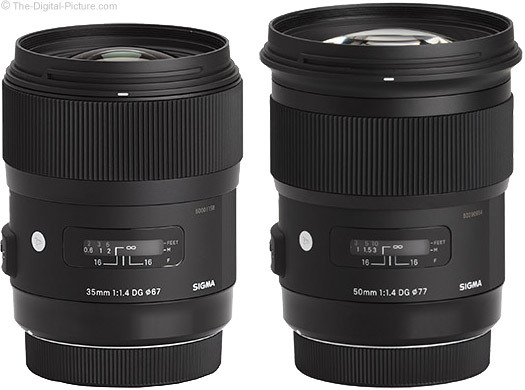 Following are links to the comparisons of these two Zeiss lenses to the Sigma. 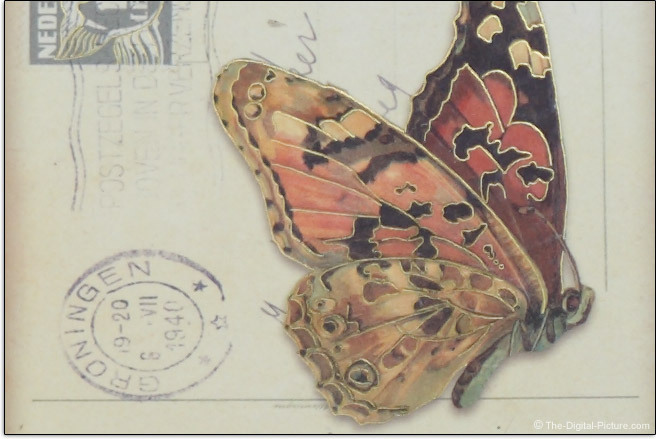 CTRL-Click on these links to open them in a new tab (saving your place in this review). Then use the mouseover feature to see the difference in image quality. Also consider selecting narrower apertures to compare. The Nikon image quality test results shown in the site's image quality tool are of course captured with a different camera body, but these results are also available for you to review with discernment. I frequently get asked if it is a waste to put a great lens on a smaller APS-C format sensor. The answer is a definite "No". Because these smaller sensors usually have more-dense pixel configurations, they can make full use of high-quality lenses and their superior resolving power. While the 50 Art Lens' about-2.5 stops of peripheral shading in full frame corners at f/1.4 is going to be noticeable in your images, this amount is about 1 stop less than the Canon 50mm lenses show and also a stop less than the Zeiss Otus 55. Vignetting is reduced to a just-noticeable 1 stop at f/2 and a seldom-noticed .4 stops at f/2.8 and narrower apertures. The just under 1 stop of peripheral shading in APS-C frame corners at f/1.4 will be barely noticeable in most images. 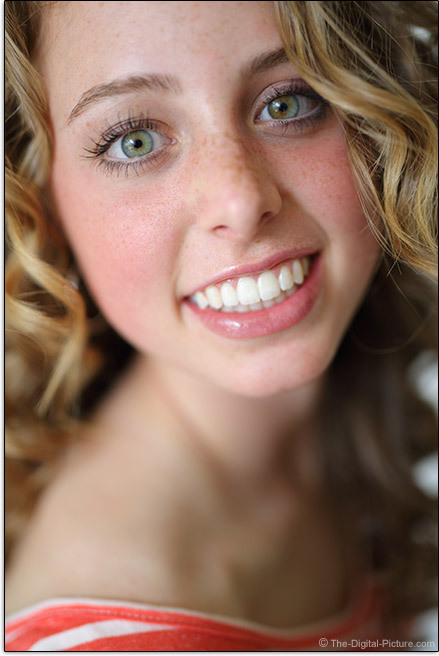 If the subject’s face is centered in the frame (most typically a tightly-framed head shot), any vignetting present in the lens at the selected aperture (f/1.4 for purposes of this discussion) will cause the subject's face to be brighter and this is often a desired effect. As I discussed in more depth in the Zeiss Otus 55mm f/1.4 Lens review, a 50mm lens is ideally suited for portraits that place the subject's face away from the center of the frame such as in 3/4 body and head plus shoulder portraits. In this case, the subject’s face more typically falls within the more-heavily shaded portion of the image circle, where vignetting becomes a negative attribute of the portrait. The result is the subject's face becoming darker than the center of the frame and the viewer's eye will be pulled to the brighter center of the frame. The reduced vignetting this lens has over many of the other comparable lenses is a great asset. Yes, vignetting can be corrected during post processing, but the brightened area of the frame will become noisier. Distortion in this lens is negligible. This lens has less distortion than any other 50mm non-macro lens and has performance at least equal to the macro variants in this regard. CA (Chromatic Aberration) is very well controlled though bokeh CA is present in some images. The bokeh CA example shown below is from in front of the plane of sharp focus in a photo of relatively close subject. Purple fringing, commonly seen when using extreme wide apertures, is very minor in 50 Art images. The 50 Art Lens avoids flare very well in wide and medium apertures with some streaking flare becoming apparent at f/11 through f/16 when very bright lights are in the frame. Note that the standardized flare results for this lens were captured on a slightly-less-than-perfect day. Some white haze in the sky shows in the upper left portion of these images. Unfortunately, a better sky did not present itself during my time with this lens and I felt that these results still showed how well this lens avoids flare. Other testing including indoor testing shows similarly good flare avoidance. The Sigma 50 Art Lens has a 9-bladed aperture and delivers normal-appearing bokeh – and delivers it in strong proportions at wide apertures. The 9-blade aperture will produce 18-point stars from specular highlights when used with a narrow aperture. Overall, Sigma delivered big with this lens' image quality. As denoted by the "HSM' in the product name, the 50 f/1.4 DG HSM Art Lens receives Sigma's premium Hypersonic Motor-driven AF system. This AF system is very quiet with only a few light clicks being heard during focus acquisition. Focus speed is reasonable, placing this lens in the upper-middle of lens focus speed rankings. Since slow focusing seems to be a characteristic of 50mm lenses in general (Canon and Sigma's at least), this lens is at the top of its class in this regard. Lens focus speed in low light is typically slower than in bright light, and this lens also becomes a slow-focuser under dark conditions. Focusing is completely internal and the front filter threads do not rotate during focusing, making circular polarizer filters easy to use. FTM (Full Time Manual) focusing is supported. According to a press release, Optimization Pro v1.2.0 will allow FTM to optionally be disabled in this lens (via the dock). 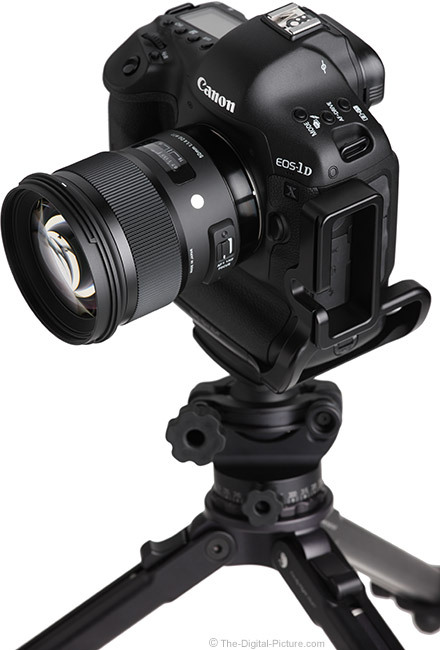 This lens is compatible with the Sigma USB Dock when using Sigma Optimization Pro software v1.2.0 or later. 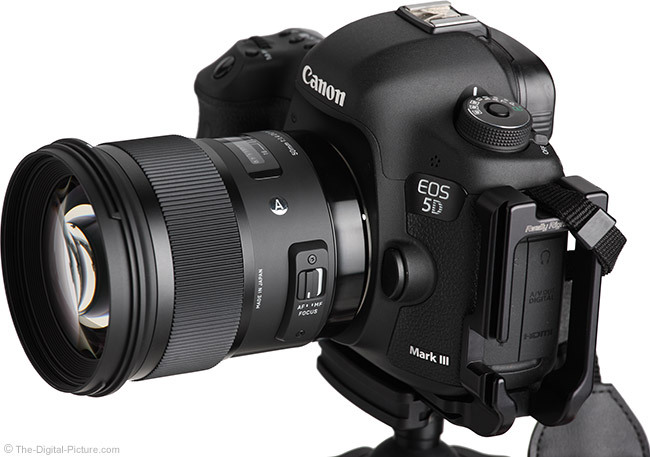 The USB dock allows the lens' firmware to be updated (bug fixes, compatibility updates, feature enhancements, etc.) and allows precise focus calibration at four distances. To this point, the 50 Art has proven itself easily worth the price even as a manual focus-only lens, but add accurate AF and this lens will rock. The shallow f/1.4 depth of field requires critically accurate focus to make full use of the impressive image quality this lens is delivering at this aperture. My AF experience with Sigma's previous 50mm f/1.4 EX DG Lens was not good and I was hoping to see a strong improvement with the Art version, especially because focus issues can consume huge amounts of my time. My AF experience with the Sigma 35mm f/1.4 DG HSM Art Lens was good and the 50 Art was given updated AF algorithms, so I was very optimistic. The bottom line is that, the longer I focus tested this lens, the less sure I was about its focus accuracy. 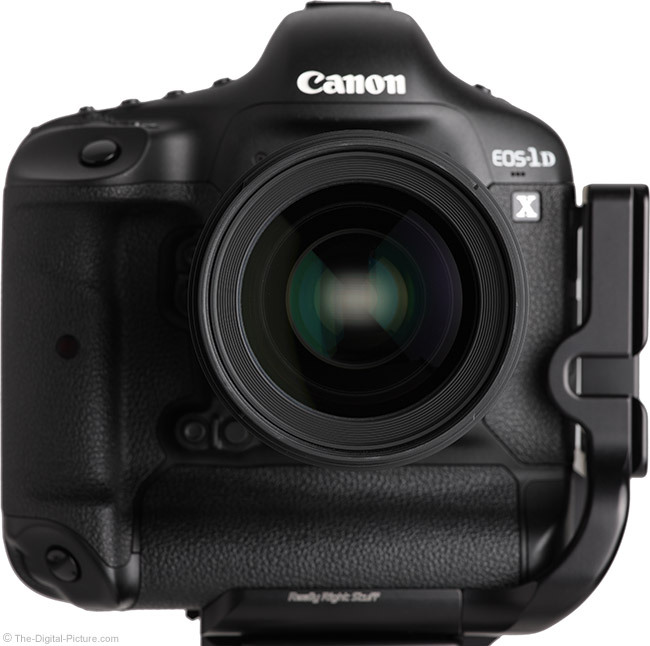 I formally tested close, far and distances in between using Canon's best AF system in the EOS 5D Mark III and 1D X along with the more affordable AF system in the EOS 60D. Focus targets ranged from the Datacolor SpyderLensCal to pineapples and from flowers to people. What I learned from the many hours (actually extended into days) spent shooting and analyzing thousands of images is that the 50 Art lens' AF cannot be completely counted on. Sometimes, most images are properly focused and when my shots counted, this lens delivered. But sometimes, more images are out of focus than I am comfortable with. Below I share ten 100% crops from one of the more-formal focus tests I performed. The subject is a large book properly aligned with the camera at a relatively close focus distance. Starting with a slightly defocused lens, each shot was autofocused using the center AF point that was very comfortably and completely covered by the book. The first 5 and last 5 images from this particular test are presented below and are representative of the larger test group. The first 5 images were captured starting with a slightly front-focused distance setting and the last 5 were from a slightly back-focused initial setting. The book cover printing is somewhat low contrast – do not conclude that this lens has low contrast (it does not) based on these results. 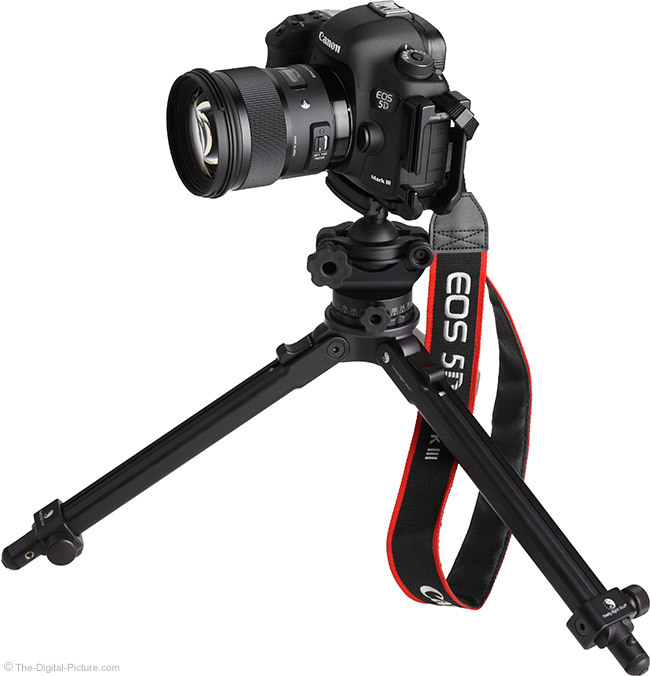 The camera was a tripod-mounted EOS 5D Mark III with mirror lockup and the 2-sec self-timer in use. A second copy of this lens shows similar inconsistent performance. Both this camera and the lens (via the dock) can be focus calibrated, but you cannot calibrate for inconsistency. With some inconsistency showing in tripod-based One Shot mode AF and with AF being only moderately fast, I was not expecting great performance from this lens in AI Servo AF mode. I was, however, pleasantly surprised that this lens delivered much better results than I expected. 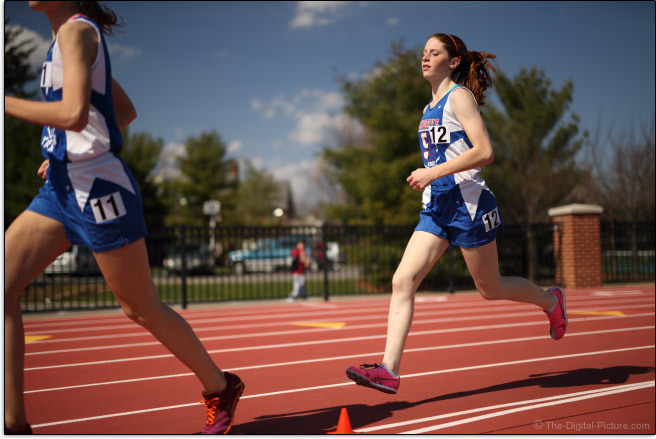 I spent a day at the track, capturing close to 1,000 photos of runners in action with the 1D X and 5D III behind the lens. While not all photos were in sharp focus (no lens performs with 100% accuracy under these conditions – at least not with me behind it), it is likely that a higher percentage were accurately focused than in my One Shot AF mode testing. The fastest and closest action, as expected, proved most challenging to this lens. I had especially good results when positioned at an inside corner of the track, capturing runners as they came toward and past me as exampled below. Shooting at f/1.4 under a full sun will result in shutter speeds at or faster than the fastest shutter speeds available in DSLR cameras (1/8000 is max in the 1D X I used for this shot). Using a narrower aperture is an option, but you lose the background-blurring shallow DOF provided by the f/1.4 aperture. To provide some shutter speed headroom via light reduction and to significantly improve image quality by cutting reflections and increasing saturation, I chose to use a circular polarizer filter on this day and then positioned myself to be shooting at a 90° angle to the sunlight direction to get the best effect. Even with the light reduction provided by the filter, this shot was captured with a still-extremely-fast 1/4000 sec shutter speed. I assure you that there is no subject or camera motion visible in this image. And again, a very healthy percentage of these shots from long 12 fps 1D X bursts are in focus. The next day, I shot a 275+ image portrait session with my own high school senior. We've done this many times before (senior portraits are an especially good reason to get her to pose for me – and Brianna is very patient). The process is routine with us. Being routine, it is easy to determine how the lens performs in relation to the others I've worked with before. Although I again had some miss-focused shots that should not have been so, my results from this session were mostly good. This portrait is rather tightly-framed for a 50mm lens on a full frame camera. That nose will begin to appear larger in relation to the eyes and other parts if a closer focus distance is used. My AF experience with this lens is perhaps most-similar to my experience with the Sigma 85mm f/1.4 EX DG HSM Lens. Confirming that images are accurately focused should be part of the shooting workflow and overshooting is always healthy for insuring that perfection was captured. My in-focus rate is much higher with this lens than I see in my handheld manually focused images. A depth of field scale is provided on the focus distance window, but like so many lenses in current production, only very narrow apertures are included. Only the 50 Art's narrowest aperture in this case – f/16. The 50 Art's manual focus ring is very nicely-sized, ideally positioned and, being raised just slightly from the barrel, easy to find. The focus ring is smooth and has ideal resistance. With only 92° of rotation, focusing happens more quickly than I prefer. Interesting is that, according to the owner's manual, "You can [snip] adjust the amount of focus ring rotation to operate Full-time MF function." via the dock. Especially appreciated is that there is no play in the focus ring. Subjects change size a modest amount as they go into and out of focus. With an MFD (minimum Focus Distance) of 15.7" (400mm), this lens has an MM (Maximum Magnification) of 0.18x. While this is a low-midrange figure, it is better than most other non-macro 50mm lenses that seem stuck on the 0.15x number and better than Sigma's previous 50mm lens' 0.14x spec. This focal length and MFD/MM are good enough for medium-small product images, close-ups of large flowers and tight head-shot portraits. To significantly decrease MFD/increase MM, add an Extension Tube. This lens is not compatible with Sigma teleconverters. 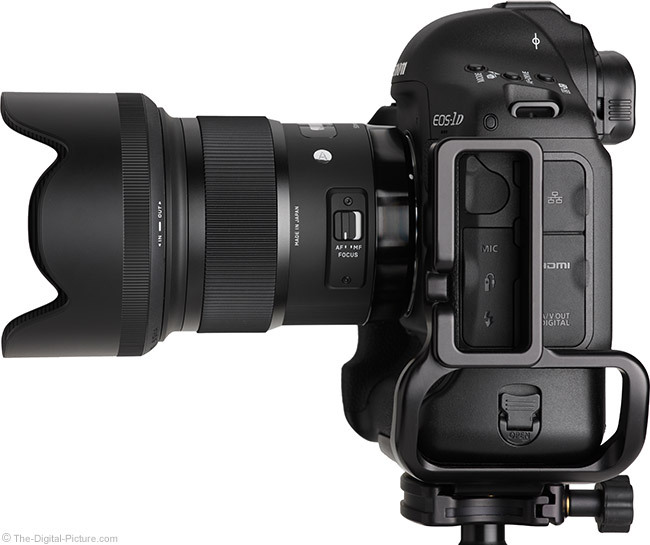 Sigma did not have to look far to find the design for this Lens. As you can see in the lens comparison image just above, the 35mm and 50mm f/1.4 Art Lenses share very obvious design characteristics. And that is a very positive attribute of this lens. Sigma's Global Vision lenses all have an excellent, classy, high-end look and feel and the 50 Art is no different. From the classy mix of matte and gloss black finish to the great-feeling sharply ribbed rubber rings to the smooth overall dimensions (aside from the modestly raised switch area in this lens), these lenses have very impressive design qualities. Lens construction is of a "Thermally Stable Composite (TSC) material, along with traditional metals, for greater precision and use in wide temperature variations." This is a solid lens with no play and a fixed size (no extending parts). There is plenty of ribbed surface provided for a sure grip. Most-significantly ribbed is the focus ring. The deep, sharp, tightly-spaced ribs on the Sigma 50's focus ring remind me of the quality feel of Zeiss lens focus rings - though the Sigma ring is rubber-coated (most Zeiss lenses feature all metal focus rings). Additional ribs are provided on half of the lens barrel and on the lens hood (makes removal and installation easier). The rear of the included lens hood is rubberized for a sure grip – and a step up in quality feel and appearance. The lens hood is large enough to provide good protection, but not so large as to become intrusive. The hood remains compact when reversed. The Sigma 50's single switch, enabling or disabling autofocus, is located within easy reach of the left thumb. A classy-looking, high-visibility white switch background shows when in AF mode with black showing when in MF mode. Sigma engraves the product introduction year into the lens barrel of Global Vision lenses. The Sigma 50mm f/1.4 DG HSM Art Lens is a mid-sized lens with, again, a solid feel. Lenses with a significant amount of glass in them (typically wide aperture lenses) tend to feel more solid due to their density, but ... this lens feels quite solid in spite of its density. Here is a size and weight chart comparing many 50mm lenses including some macro variants. 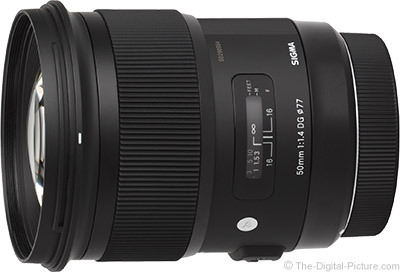 For many more comparisons, review the complete Sigma 50mm f/1.4 DG HSM Art Lens Specifications using the site's Lens Spec tool. While the 50 Art Lens comfortably takes second position in both largest size and heaviest weight categories, this lens is comfortable to use and the 28.6 oz (815g) weight is not a burden to carry even for long periods of time. 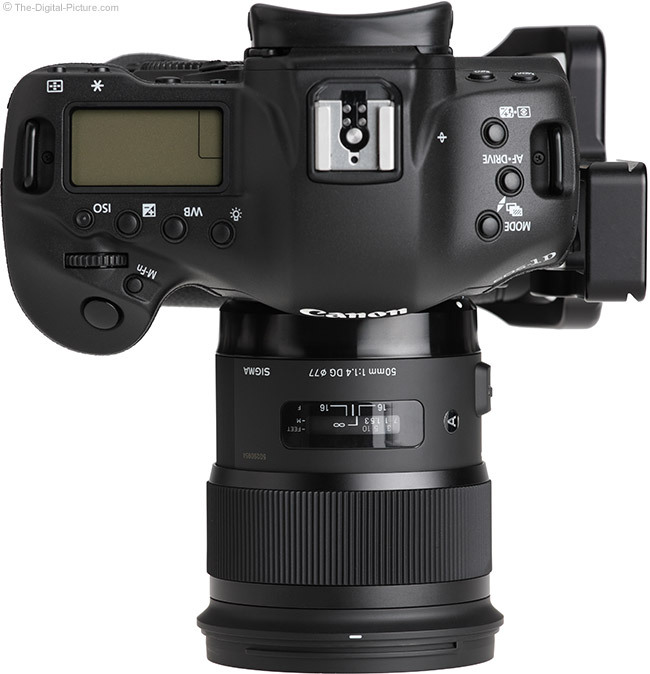 The Sigma 50 Art utilizes the common 77mm filter size. These filters are on the larger side of average, but this is a very commonly used size. Finding lenses to share 77mm filters is not hard. 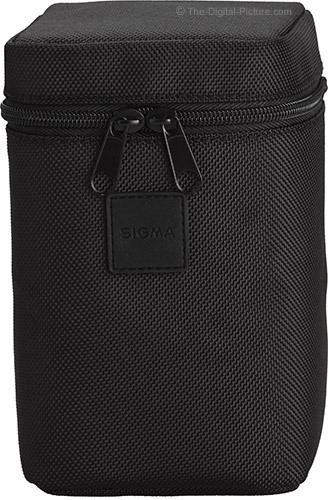 The Sigma 50mm f/1.4 DG HSM Art Lens ships in a nice zippered, padded-nylon case that includes a belt loop for carrying or lashing to another pack. Absent from the name of this lens is "OS" indicating that optical stabilization is not part of this lens' feature set. Currently, no wider-than-f/2.8 lenses covering the 50mm focal length have optical image stabilization, but that doesn't mean that I do not want it. Many of my portrait subjects can hold still enough for longer than the 1/50 sec I minimally need for sharp handheld 50mm full frame images and when I'm moving fast, I need even faster shutter speeds to cover my camera shake. The f/1.4 aperture is very wide and allows handheld use of ISO 100 in very low light levels, but adding stabilization would further extend the usefulness of this lens. Also not featured on this lens is weather sealing. Make provisions to keep the lens dry/protected if inclement weather can be expected/encountered. The same lenses are shown below with their lens hoods in place. The market is full of 50-something mm lenses as seen listed in the comparison tables above, but there are significant drawbacks to all of them with wide open image quality being the primary issue. As long as the price is not objectionable, the Sigma 50mm f/1.4 DG HSM Art Lens is my strong recommendation over all of them with possible exception for the last 50mm lens to hit the streets with great acclaim, the instantly-legendary Zeiss Otus 55mm f/1.4 Distagon Lens. The Zeiss Otus 55 is the only other 50-something mm option that delivers outstanding image quality with a wider-than f/2 aperture. The Otus has not been on the street for long and is still not found in stock as I write this review. It is the only 50-something mm lens with better image quality than the Sigma, but only marginally better. Those wanting the absolute highest quality manual focus lens available should take the Otus option, but ... be prepared to pay more than 4x as much for this lens. 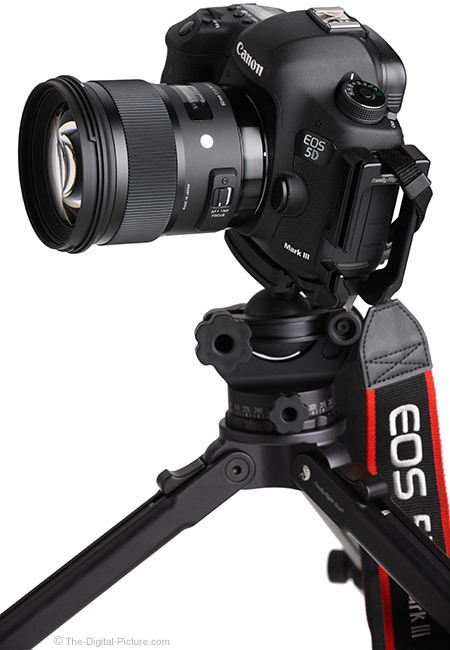 The Otus is larger and heavier, but it is a better built lens. The Sigma has less peripheral shading and slightly less distortion to add to its price and autofocus advantages. Price and MF make the Otus a niche lens. When this lens was first announced, the price was hinted to be very substantially high. 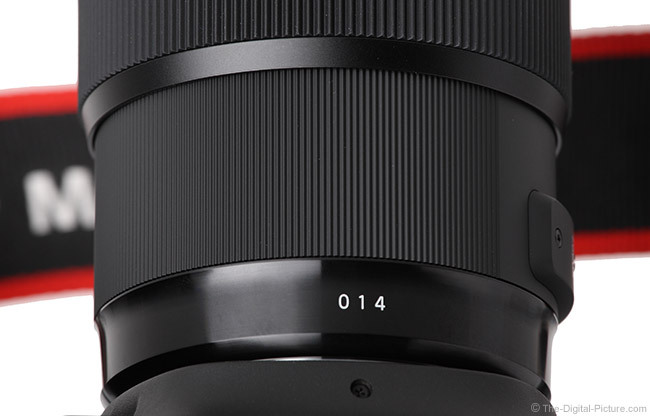 When the list price was formally announced, my first thought was "Sigma is going to sell a huge number of these lenses." While not cheap, a wide aperture lens in a favorite-of-many focal length with impressive image quality is worth this price. 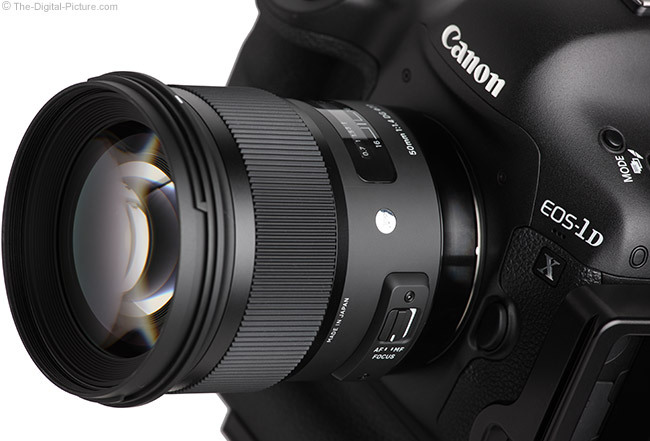 The Sigma 50mm f/1.4 DG HSM Art Lens is available in Canon (reviewed), Nikon, Sony/Minolta and Sigma mounts and the Sigma 50 Art qualifies for Sigma's Mount Conversion Service (at a cost) in case you change your mind. My standard disclaimer: There are potential issues with third party lenses. Since Sigma reverse engineers (vs. licenses) manufacturer AF algorithms, there is always the possibility that a DSLR body might not support a (likely older) third party lens. Sometimes a lens can be made compatible by the manufacturer, sometimes not. There is also the risk of a problem that results in the lens and body manufacturers directing blame at each other. Compatibility with the Sigma USB Dock is risk reducing as Sigma can release firmware updates for dock-compatible lenses. Sigma USA's 4-year warranty is superior to Canon's standard 1 year warranty (Sigma's international warranty is also 1 year). My first evaluation lens was a short term loan from Sigma, as they offered the production-grade lens before it was commercially available. The second lens was a retail copy ordered online. While I will dock a few points from this lens for occasional AF inconsistency, the Sigma 50mm f/1.4 DG HSM Art Lens is now the overwhelming favorite in the 50mm field. This lens delivers excellent image quality, has a beautiful design and for what you get, a very attractive price. 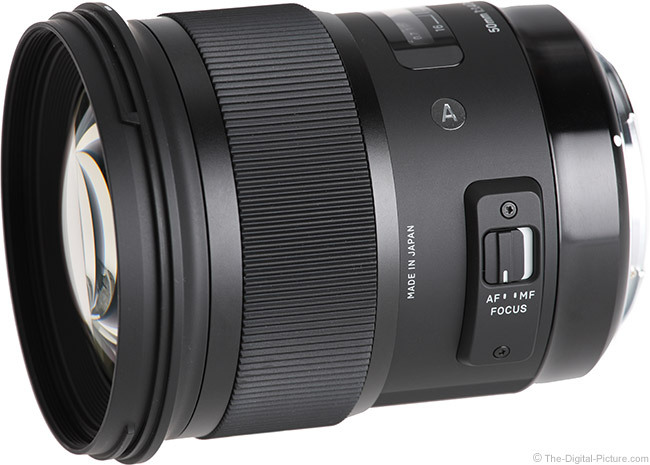 The Sigma 50mm f/1.4 DG HSM Art Lens is the easy 50mm choice for those with a moderate budget.